Future Factory 3D is a 3D jewelry creation and printing company created by Adrienne Trahan and James Catalano. They met on the benches of a school of architecture and design and after 5 years of study they had the idea to start this small business. They stand out from other 3D designers thanks to the vision they have of their creations: for them the object is as valuable as its manufacturing process. They have the desire to create pieces that are not perceived as jewels as such but really as topics of conversation. It is for this reason that all their creations are sold accompanied by a descriptive form of the manufacturing method by 3D printing . Their desire to transform their ideas into real objects led them to offer high quality and highly inventive creations. To get a jewel, visit their website. You can also follow them on Facebook , Twitter , Instagram and Cults. If you have a 3D printer , you can also get their 3D files on Cults and print these great creations right from home. 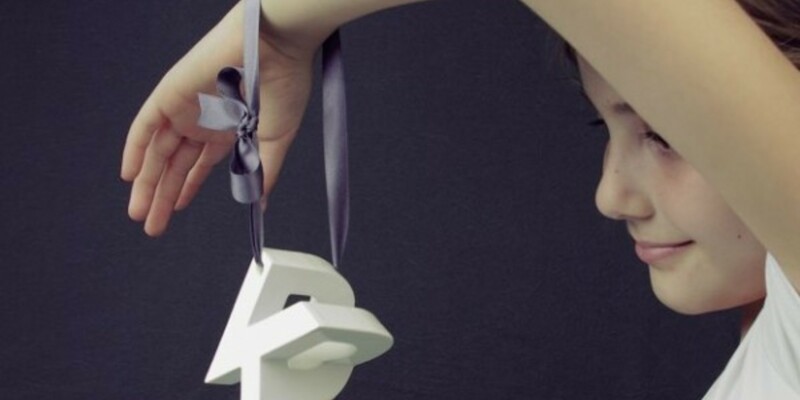 Ultravirgo has created Mymo, a service that reinvents the monogram thanks to 3D printing. The user can turn his monogram into a jewel printed in 3D. 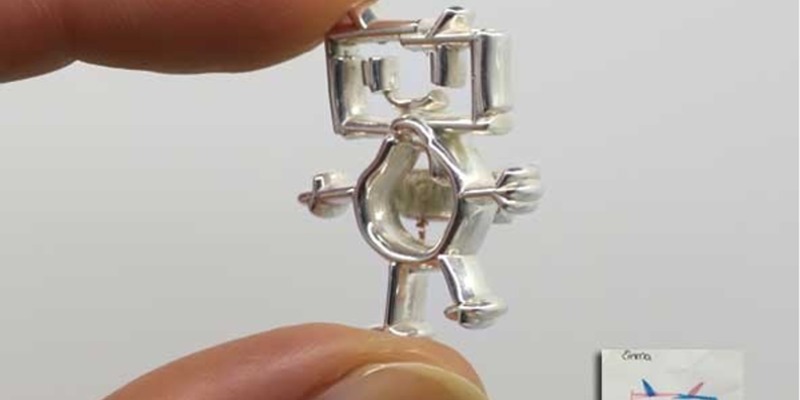 Ucki has launched an online service that transforms a child's drawing into a 3D file and then into 3D printed metal jewelery.